The Kabuto Ibuki replaces my Lazer Corsica Z-Line! 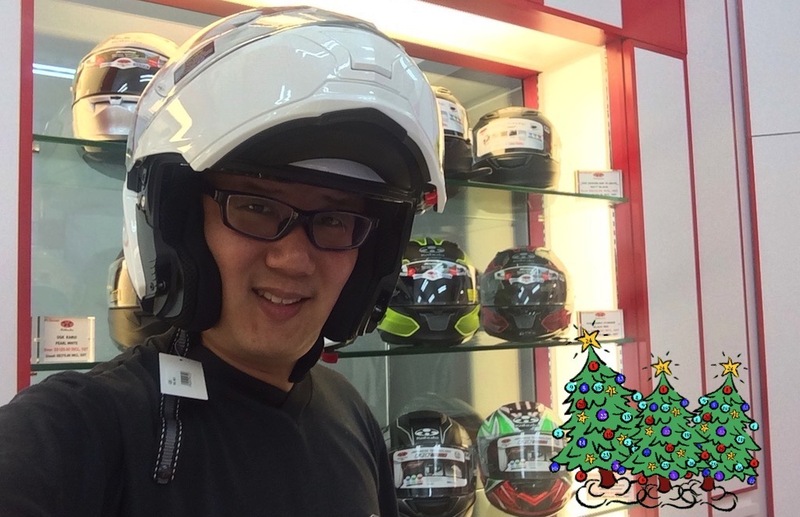 Early Christmas gift to self – I got me a modular flip-up helmet! 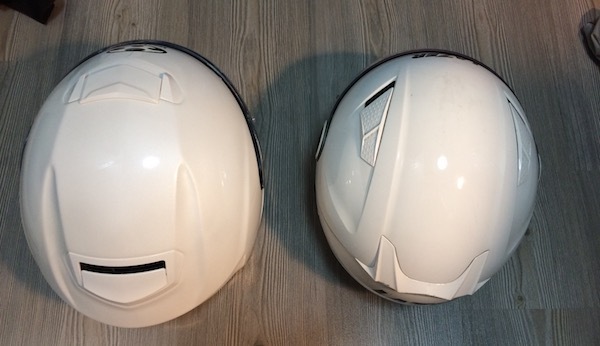 I have previously ranted about my deteriorating Lazer Corsica Z-Line helmet, and would really have loved to stick to it, but I needed some parts replaced. I reached out to Lazer’s customer service more than a month ago and I must say that I have been rather disappointed with their responses so far – but I’ll save that rant for another post. Personally, my riding style is commuting / touring. 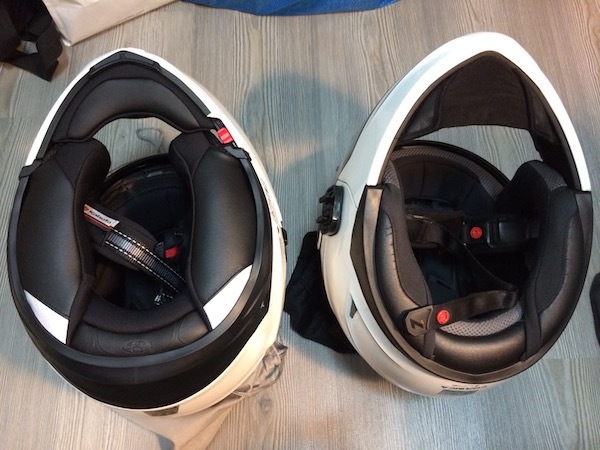 Without going into the merits of open-faced vs full-faced helmets, my personal preference has always been with modular helmets as it seem to offer a little bit of the benefits of both worlds. Having come from Lazer’s convertible modular, I’ve been looking for a flip-up helmet for awhile now. … Until I spotted Racing World running a 50%-off sale on the Kabuto Ibuki flip-up. I have previously never heard of Kabuto, much less the Ibuki. So I went into internet research mode and tried to find out more about the brand and the model. 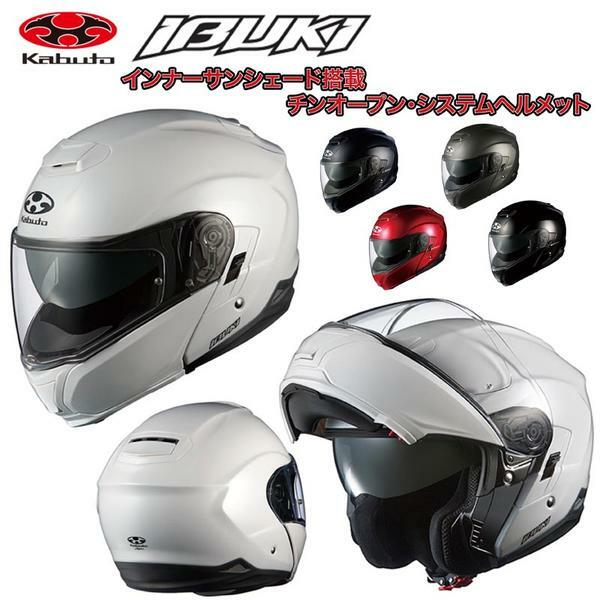 Kabuto (formerly known as OGK) is one of the lesser known Japanese helmet brands compared to the more popular Shoei and Arai. 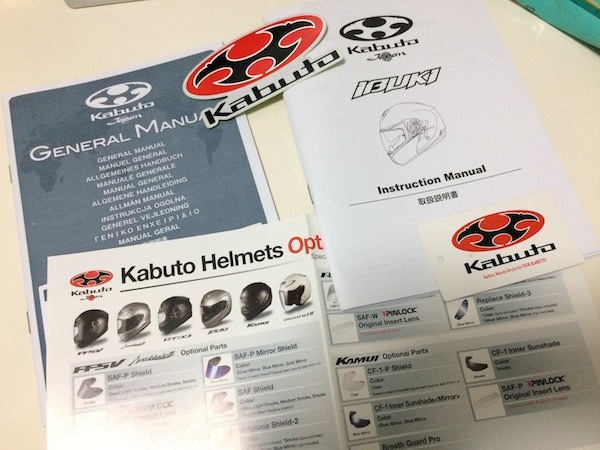 Manufacturing helmets since 1982, Kabuto has always strived to offer premium Japanese quality helmets at prices super competitive to that of Shoei and Arai. The Ibuki is Kabuto’s first modular flip-up offering and a really fine one too! Motorcycle gear website webBikeWorld.com ran a pretty good review on the Ibuki, and after reading through the many user reviews left on RevZilla.com, the Kabuto Ibuki seem to be exactly the helmet I was looking for – mid-priced, great Japanese quality, superb ventilation (though only the top), and most importantly (to me), low noise levels. And at S$290 (sale price), I think it offers an outstanding value for money! 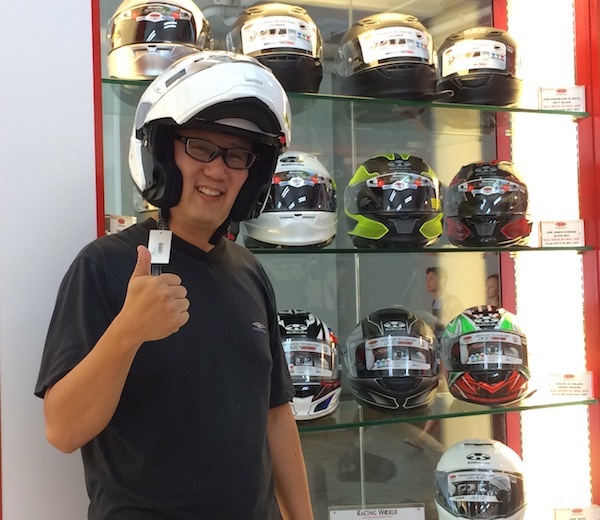 Trying on the Kabuto Ibuki modular helmet at Racing World. Hello world! I come in peace! My first impression of the Ibuki is that it definitely feels like a premium product. The finishing and paintwork of the helmet is excellent. The padding is super plush and made of moisture-wicking CoolMax material – something rather exclusive to higher-end helmets. 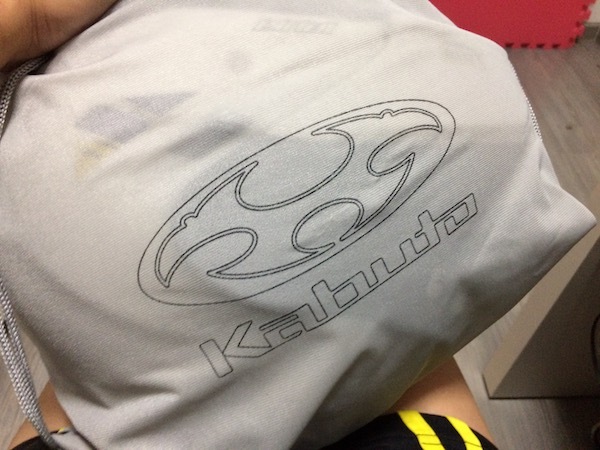 Kabuto’s “Advanced Composite Technology” – probably a fanciful name for fiberglass-reinforced plastic. 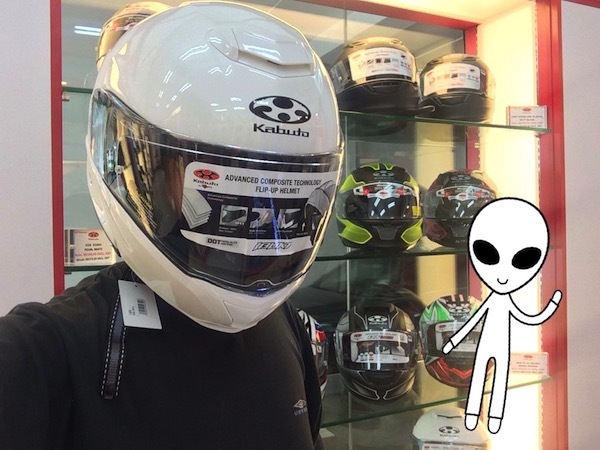 It’s strange that Kabuto’s website sized their Large offering for head circumference of 59-60cm, whereas the label printed on the helmet itself mentioned 58-59cm. Nevertheless, my head measured 59cm and so either way, I’m sized for a Large. The plain-looking cloth bag that came with the helmet. Instructions manual and informational pamphlets in the welcome pack. They also included a Kabuto sticker if you wish to help promote them. 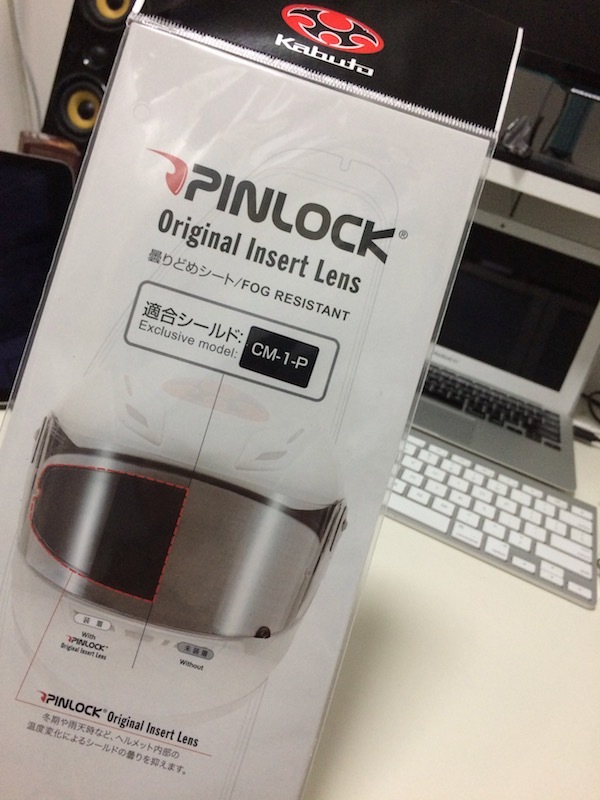 They’ve included a Pinlock anti-fog visor insert in the package too. Yup! It’s PSB-approved. No worries about getting into trouble with the Traffic Police or insurance companies. 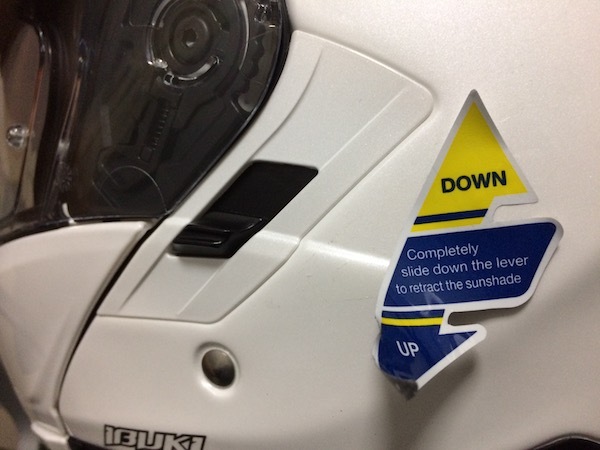 And then I came across my first gripe with the helmet – POOR QUALITY STICKERS! Yes! Horrible, horrible! 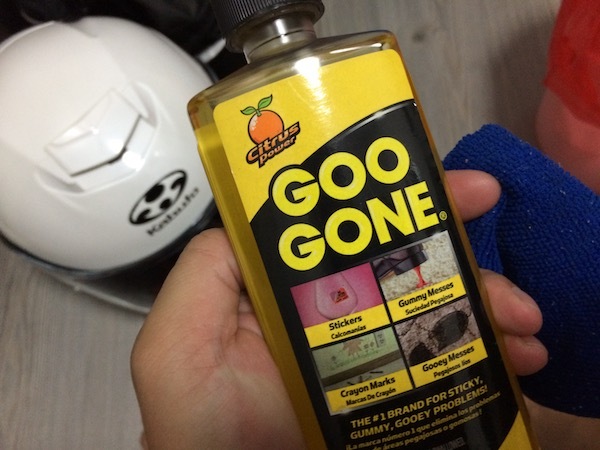 One of the first things I always do with any new stuff that I have is to remove stickers on the product that I think I may not want to keep on the item. Being new, the stickers should be easier to remove. But disappointingly, the NON-ESSENTIAL stickers on the Ibuki leaves a sticky gooey mess. Yucks! 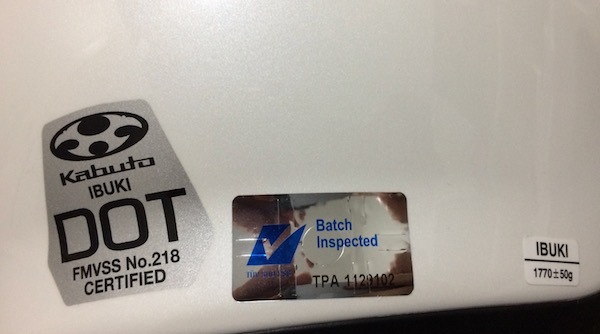 Please, Kabuto, get a new sticker vendor – you can do better than this. Up and down operation for the internal sun visor. Would anyone really choose to leave this instruction sticker on? This gooey mess was a huge pain to remove. 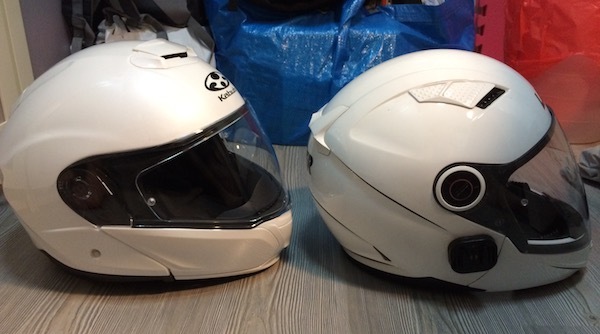 The new Kabuto and the old Lazer. 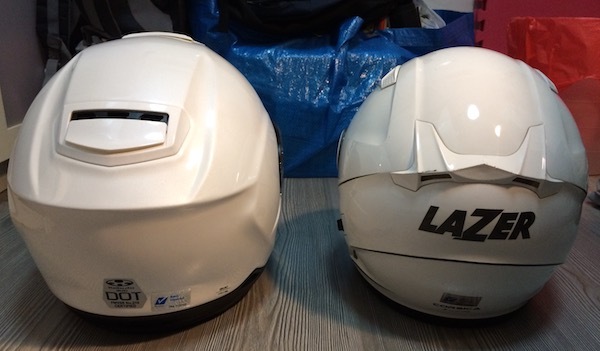 Side profile – the Kabuto is a little bigger than the Lazer. 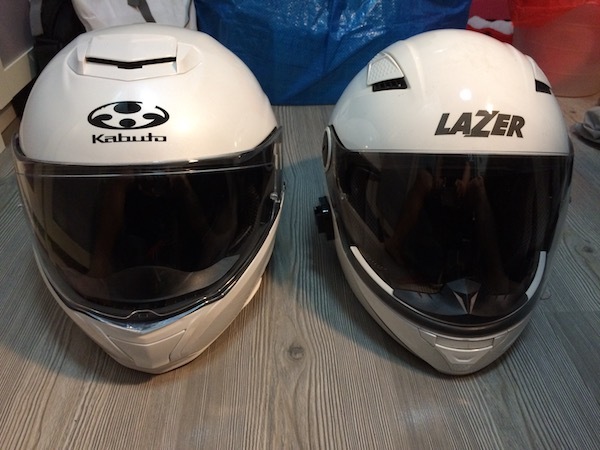 The Kabuto (size L) is definitely bigger than the Lazer (size XL). 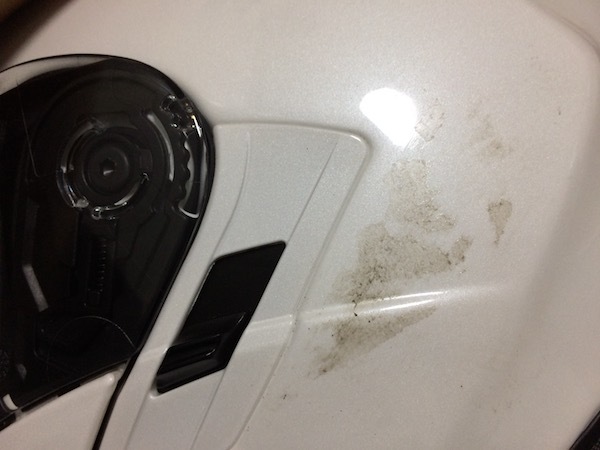 Kabuto vs Lazer rear vents. Definitely a lot more plush on the Kabuto (left). The cheek pads also extend out further on the Kabuto, offering a very luxurious feel. So, that’s it! 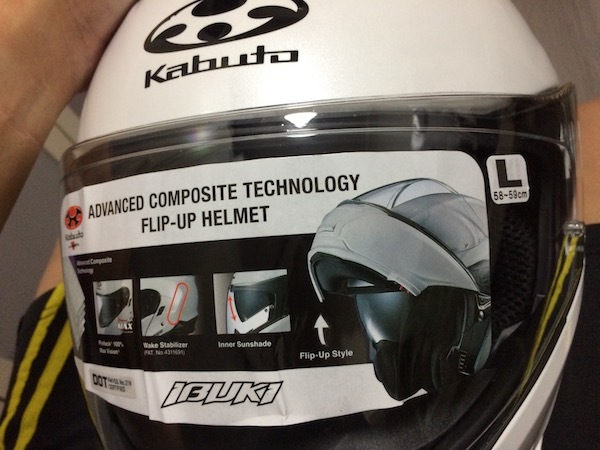 My initial impressions of the Kabuto Ibuki flip-up modular helmet. As I’ve not spent too much time with it yet, I’m reserving my review of the helmet for now. Until then, I can’t wait to take the Kabuto Ibuki for my next trip! 20Jan17 Update: Read about my full review of the Kabuto Ibuki here. Sorry. I have no idea. Try your local authorized dealer?